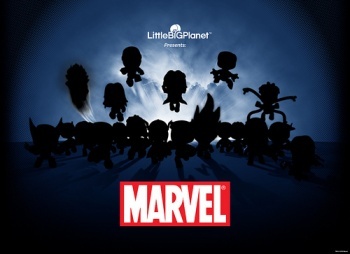 Thanks to Marvel and Sony, it's clobberin' time in LittleBigPlanet. Sackboy is going to have to toughen up if he wants to make it through the next couple months of LittleBigPlanet updates. Marvel and Sony have announced that superhero and super villain costume packs are going to be released in the game starting on July 7. Not just one pack: Packs. Marvel plans to release four packs total of five characters each every other week afterward. That's an amazing amount of comic-book goodness. Seriously, Sackboy up and dies every time a little electricity runs through him or when he brushes up against a thumbtack. Is he really going to be able to survive the kind of trouble Wolverine and the Punisher get into? If costumes alone don't get your radioactive blood flowing, Marvel and Sony have also announced the release of the Marvel level kit which will include four levels of an adventure pitting players up against magnetic magnet man Magneto. If it's anything like the Metal Gear Solid level kit, a set of levels that put a paintball gun in players' hands and pitted them up against laser-shooting robots, it'll be pretty cool. Throughout the levels, players will collect Marvel-themed music, objects, materials, stickers, and a special "Rooftop" background to use in level creation. Marvel-themed music eh? Does this mean we'll be hearing the classic Spider-Man theme song in LittleBigPlanet?